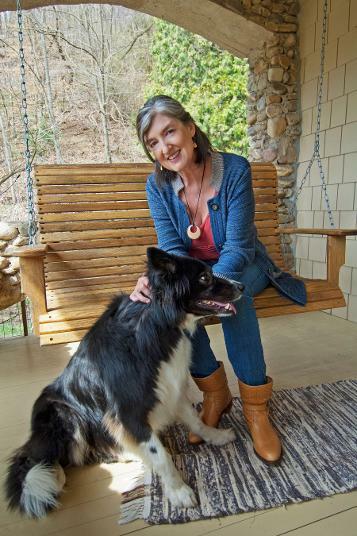 Barbara Kingsolver has worked as a freelance writer and author since 1985. She grew up in rural Kentucky and currently lives in southwestern Virginia. Her 14 published books have won the hearts of readers across the globe as well as many high honors. The Poisonwood Bible was a finalist for the Pulitzer Prize and the Orange Prize, and won the national book award of South Africa, before being named an Oprah Book Club selection. Animal, Vegetable, Miracle won numerous prizes including the James Beard Award. The Lacuna won Britain’s prestigious Orange Prize for Fiction in 2010. Kingsolver established the Bellwether Prize for Fiction in 1999 (now called the PEN/Bellwether Prize for Socially Engaged Fiction), the nation’s largest prize for an unpublished first novel. In 2011, Kingsolver was awarded the Dayton Literary Peace Prize for the body of her work. Still: The Journal fiction editor Silas House interviewed Kingsolver in April, 2013. We present an excerpt of that interview here and a link to Silas’ radio show, Hillbilly Solid, where you can hear the rest of the interview (as well as some great tunes). Silas House: You once said that your best work is accomplished through writing, raising your children and being an active citizen of your own community. I’m wondering what first lit “the fire of service” in you? Barbara Kingsolver: . . . I grew up in a household of service. My father was a country doctor, and it was very clear to us that his priorities were taking care of people and taking care of the earth, taking care of the garden, and that that came way ahead of material things. . . . It was the ethic of our family that we wore hand-me-down clothes, and that did not matter. We tried to be the best people we could be, and that did matter. SH: There’s really something to be said in living as an example for your children, don’t you think? BK: . . . That has been awfully important to me since I’ve been raising children the whole time I’ve been an author. My first child and my first book contract came into my life literally on the same day. . . . I saw quickly how being an author put me in the world in a way that was quite unexpected to me. . . . I saw early on that writers in modern time are citizens of the world and they tend to be very public people. If you’re successful at all, they want you not to stay home and write books, but to go traipsing around telling people about your books. And I just made an early decision that’s not for me. That’s not the way I wanted to be a writer because I wanted to be in the same household with my children. And also, I thought that would not be a useful position from which to be a writer. I felt that if I had anything useful to say it would only be because I sat tight in the place where I lived and kept my eyes open and belonged to my place and to my family so that I might have some hope of accumulating some wisdom about belonging to a place and to a family. . . .
SH: Even though you’ve lived all over, you have returned time and time again, literally and figuratively, to Appalachia. I think of many of your books as love letters to Appalachia. Flight Behavior certainly is. And even your first book, The Bean Trees, is such a wonderful look at the complexities of the region. What is it about the place of Appalachia that gets under our skin so profoundly? BK: So many things. It’s language; it’s a way of telling stories; it’s voice. It’s the kind of relationships we have in this part of the country, and the way we are bound to family and to community that might be unusual. It’s the physical landscape; it’s the mountains; it’s all of those things. I think also for me, because it is home, it is where I imprinted on these hills and this kind of talk and storytelling—just the way a baby duck imprints on its mother, and wherever it might go in life, it’s looking for that mother duck. I think I followed a typical trajectory for a small-town girl with big dreams. I grew up in Nicholas County, Kentucky, and went to high school there. It felt very small to me eventually, and I just couldn’t wait to kick the Kentucky dust off my shoes and go see the world and seek my fortune. And when I went out into the world, I didn’t really understand Kentucky until I left it. I had no idea of how people saw us, and especially rural Kentuckians and eastern Kentuckians. . . . I ended up living in Tucson, Arizona, in my early twenties. I’ll tell you how The Bean Trees came about. I was writing these short stories that were set in Tucson, and I was trying very hard to make them interesting and sensible and believable. And they just were flat. All these stories just didn’t have a storyteller inside them. . . . And then I wrote this short story called “The One to Get Away” which was about a young girl in Kentucky who was just dying to get out of Kentucky and went to Arizona, but she sounded like a Kentucky girl. And a friend of mine read that story and said, “Well, here’s your novel. Put this person in Tucson and let her tell all these stories.” And, Bingo! I realized she was right. It was that voice that was authentic. It was the only thing I had as a writer that was authentic. And right around that same time, I began to read Kentuckians heavily, particularly some writers who were fairly new on the scene at that time, especially Bobby Ann Mason. And I saw how her voice honored her place. I guess I was so afraid of ridicule that I had tossed the baby out with the bathwater. . . .
SH: In all of your books there is a real social consciousness, yet you do such a fine job of not beating readers over their heads with issues. How do you walk that tightrope of writing a novel that has a conscious heart but does not turn into a polemic? BK: If you are a person with a conscious heart, anything that you write will reflect that. It isn’t that when I write fiction I set out to lay social consciousness onto it. It’s really more a question of where it comes from, how I see the world and what questions I will ask, what things will concern me or frighten me or worry me. As far as walking a line, I don’t see it as any problem at all because everything has its place. If I want to beat people over the head with a message, I might go to a school board meeting or a protest. That kind of didactic language has its place, and that place is not in literary fiction. . . . In novel-writing mode, I am concerned entirely with language, with character development, with plot, with constructing the fabric of story that will be beautiful and engaging and will seem real to people and pull them in. I leave the politics at the doorway and go into my study and think about sentences. . . . I focus entirely on craft and I don’t ever, ever think, “oh, how can I make this more convincing to people?” Or “how can I make people behave a certain way or think a certain thing from this novel?” because that’s not the place. . . . It’s a question of respecting the readers. . . . Listen to Barbara Kingsolver talk about her newest book, Flight Behavior, as well as the creation of The Bellwether Prize, and the rest of this interview.